***UPDATE*** This product was developed for early versions of Divi in October 2015 and is no longer available due to compatibility issues. 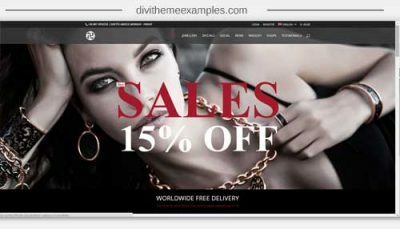 Please check out Divi child themes here or Divi Layouts here. 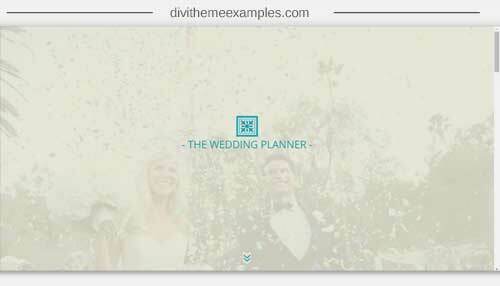 The wedding planner is a FREE child theme available to download at Divi Theme Examples. This Divi child theme is based around a wedding planner theme but can easily be adapted to suit a wide range of different industries. The child theme comes with 6 pages and takes a matter of minutes to install using the WordPress importer and Customizer importer plugins. For a full step-by-step guide to creating a website (from zero/scratch/nada) take a look at this beginners installation guide for Divi and The Wedding Planner from domain name & hosting, installing wordpress and Divi to using the Wedding Planner Child Theme. For more free child themes sign up to the Divi Theme Examples newsletter and you will be the 1st to get Divi Freebies.